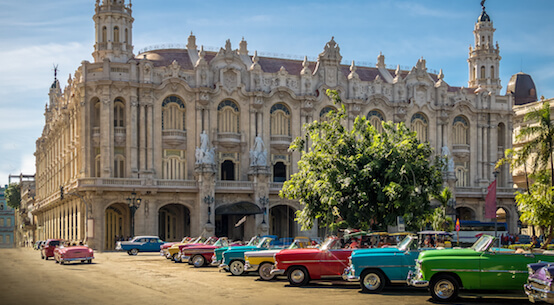 Journey through Spain and Portugal on this 11-day tour. Taste the cuisine of the Catalan region. Explore the cities of Barcelona, Madrid, Seville, Valencia, and Lisbon. Visit the 8th century Córdoba Mosque and enjoy a traditional Flamenco performance. Indulge all your senses on this exquisite two-country tour! Check out our Travel Blog for more tips and ideas for your Tour of Spain and Portugal! Hotel Accommodations: 9 nights of hotel accommocations based on twin/double double occupancy in moderate hotels. Sightseeing: and special events as listed in the itinerary. Meals: 9 breakfasts and 6 dinners Note: (B, L, D) as noted at the end of itinerary text indicates meals included for that day. Baggage Handling: To and from your hotel room throughout your land tour for one piece of checked baggage per person. Service: Your tour is accompanied throughout by a professionally trained tour director who is knowledgeable on the local area and will provide you with a wealth of information. Their friendly service will make your trip a memorable experience. *Offers valid for new bookings only and subject to availability. Offer may be cancelled at any time. Please follow the steps below to price your vacation with YMT. When you complete all the steps, please click "Reserve" next to the date on which you would like to travel. Your Trip to Spain and Portugal begins with an overnight trans-Atlantic flight to Barcelona. This afternoon, travel to the ancient hilltop city of Toledo, a UNESCO World Heritage City. Known as “The city of three cultures,” Toledo has roots in the Middles Ages and monuments and sights of Christian, Jewish, and Arab influence. During your walking tour you will see the old quarter and have views outside of Toledo Cathedral, City Hall and visit the Old Jewish quarter with their narrow streets for only $49 per person! Please add this option at time of booking. Watch a short video about this tour! 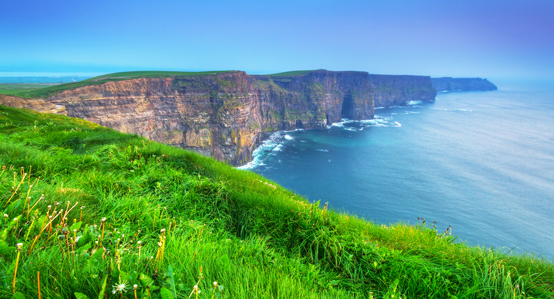 Experience Irish culture firsthand with a 12 day escorted tour around the entire country! Ireland vacations are unlike any other because myths, history, and the sea collide on this “Emerald Isle” to give you an unforgettable experience. Your travels will start in Dublin, where your guide will take you to popular landmarks, including the famous St. Patrick’s Cathedral. And Ireland tours would not be complete without a stop at the famous Blarney Stone, followed by a drive through the Ring of Kerry where you will see lakes, rivers, and charming villages. You’ll have ample time to explore remarkable rock formations that tower up to forty feet in the air at Giant’s Causeway, a UNESCO World Heritage Site. Experience legendary Irish hospitality with our charming local driver guides or in a warm pub on peaceful evenings while you make friends with a few locals. You may even pick up some Gaelic words! Rest assured that a guided tour through Ireland with YMT will give you the full Irish experience without the hassle of planning yourself. Simply pack your suitcase, and leave the rest to us. Check out our Travel Blog for more tips and ideas for your Best of Ireland Tour! Spend an unforgettable 19 days exploring Greece and Italy, at the heart of the Mediterranean, two countries who’s history have shaped the world we live in today. In Greece visit Athens, host city for the 2004 Olympics, and see the Acropolis, the Parthenon, the original Olympic stadium before travelling across the Aegean Sea to the iconic and stunning islands of Mykonos and Santorini. Famous for their white box houses, blue domed roofs, churches and windmills, you’ll spend 2 nights on each island, which is plenty of time to soak up the ‘island life’ atmosphere. Separated from Greece by the Adriatic Sea, discover the romance of Italy. 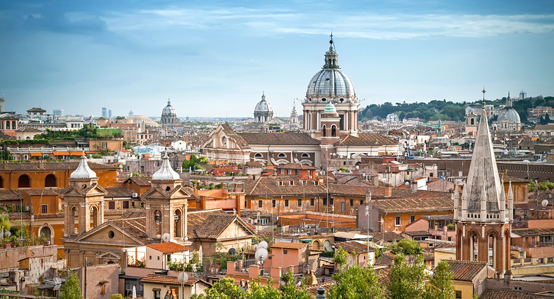 See the Eternal City, Rome, and the Vatican, Colosseum, Spanish Steps, and Trevi Fountain. Explore the picturesque beauty of the Tuscan and Umbrian countryside along with Florence, Pisa and Venice, where highlights include the Ponte Vecchio, the Leaning Tower, the Grand Canal and St. Mark's Square. There’s also Verona, best known as Shakespeare’s setting for Romeo and Juliet, and the city of Milan. Over all an amazing opportunity to see and experience two unique countries where you will find over 2,500 years of history and culture. Check out our Travel Blog for more tips and ideas for your tour of Greece & Italy!